We’ve got over 10 years of experience helping real estate businesses to generate leads and customers online. Whether it’s SEO, PPC, social media or just design and development we connect one of the oldest industries to the modern world. 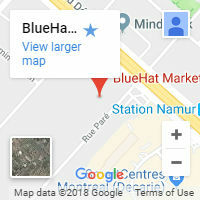 A team of certified Google professionals. Meeting and exceeding performance requirements set forth by Google. Solid overall growth, revenue and a growing customer base. Do you want a website that looks and works exactly how you imagined it? Leave it to us. Our team will have your website up in just a few short weeks. 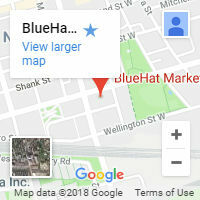 At BlueHat, our expertise in getting websites to rank higher on search engines is coupled with a specialization in designing fully customized websites that convert traffic into sales. Our web design focuses on your particular needs during every step of the process. 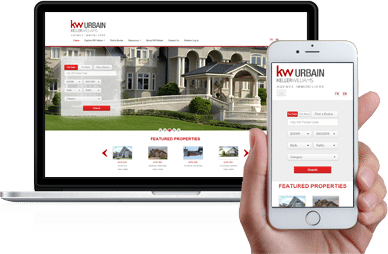 Personalized, robust, fully validated templates with specialized features tailored to the real estate world, such as MLS integration, maps functions and property galleries. We design your contact / order / quote forms to be compelling, user-friendly and clearly visible throughout your site with full mailing list functionality. Easy access to your site for updates and modifications. We use the latest WordPress platform for most sites. 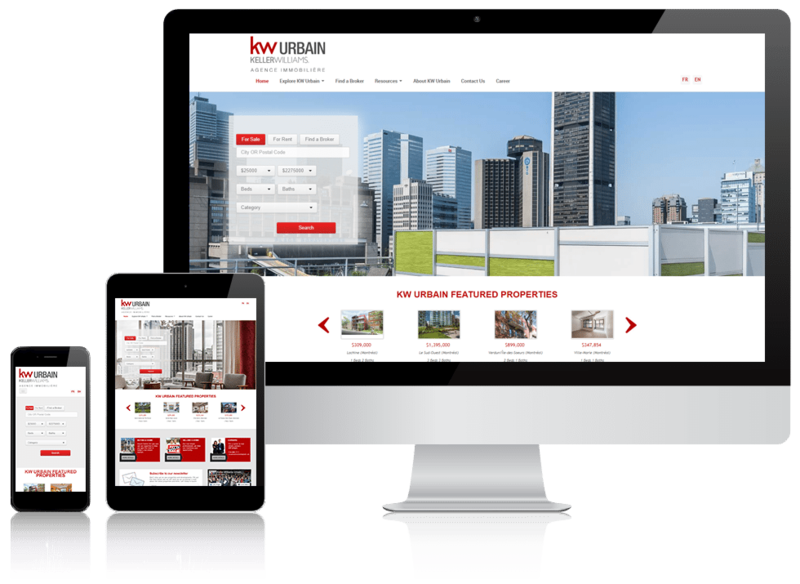 Real estate giant, Keller Williams Realty Inc., has made its move into Quebec and opened a franchise in downtown Montreal under the name of KW Urbain, a name chosen so as to be respectful of Quebec culture and reflecting its downtown location, in the heart of Montreal.